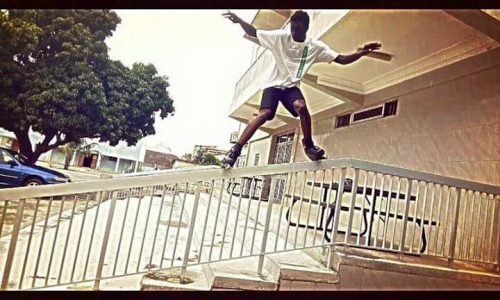 Here at ONE we absolutely love when our blade horizons are expanded with something unexpected, and that’s how it was when we started to learn about Daniel Ogbogufrom Nigeria. Super active on Instagram as a means of documenting his blading and getting beyond his borders, Daniel is inspiration to longtime bladers like ourselves that often wonder what the future of skating looks like. Well, here it is. 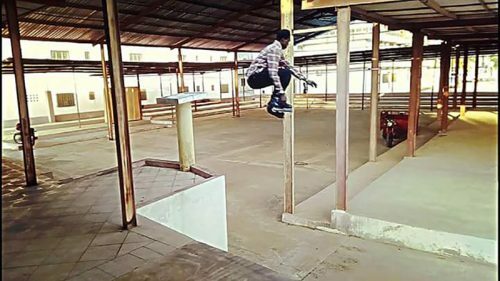 With little support, few resources, and not too many proper spots to hone his skills, Daniel is testament to the old adage “Where there’s a will, there’s a way.” But in this case it’s more like “Where there are blades, there is blading.” It’s 2018 and blading is everywhere. Read about Daniel if you don’t believe us. Daniel, tell everyone who you are and where you live. 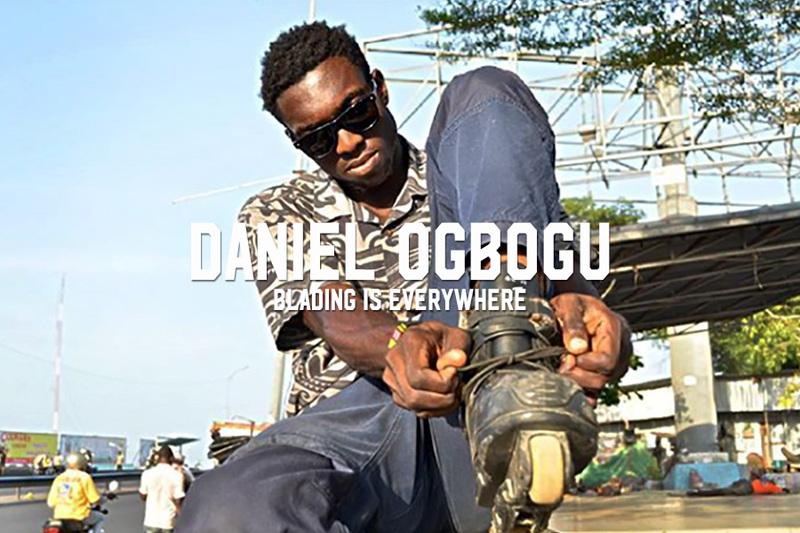 My name is Daniel Ogbogu, I am 21 years old, a student, and a rollerblading enthusiast. I live in Lagos, Nigeria, but go to University in Benмn Republic. How long have you been on skates and how did you discover it? I’ve been skating about four years now. I started skating when I was almost 18. That’s when I saw a few of my friends skating around school and I fell in love with it. I’ve been addicted ever since. What is the blading scene like there? How many other people do you skate with? Currently, the skating scene out here is widely dominated by speed skaters. I have a few aggressive skaters who kick it with me once in a while, and we have cool sessions together. What about doing tricks, is that more rare in your area? Yes, it’s like I said earlier — the area favors speed skaters. How do people react when they see you trying to land something? It’s mixed — sometimes they love it and ask for my contact info, other times they threaten me with the police. But that’s the life of an aggressive skater generally. What are your favorite tricks to do? And what would you like to learn? My favorite tricks currently are 540, frontside grind and soul grind. I would like to learn fishbrain, topsouls and negative acid. How do you find equipment in your area — are there retailers selling skates or did you have to order them? Or some other way? There is a retail shop in Lagos, Nigeria called Skate Modish Concept, and another in Cotonou, Benin Republic called Roll Safe Fly High. These two skate shops are where I get most of my gear from. What was the first piece of blading media you saw, whether it was online or a magazine or on TV? Rollerblade athlete Greg Mirzoyan’s free skating videos, and Nick lomax’s free skating videos too, are what sparked my interest in street skating. Are there good facilities for skating there? A skatepark? Or is it just you in the streets finding things to try? 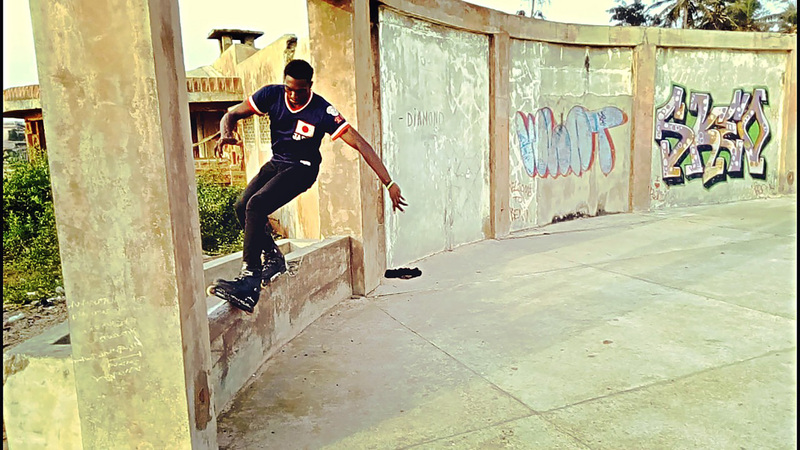 There aren’t any skateparks in either Lagos or Cotonou, so I basically go searching for spots in order to challenge myself to skate and be creative, as you can see in my videos. You’re very active on social media — how important is social media to your relationship to blading? Social media plays a huge role in my growth and development as a skater and a visual creative. First of all, my advancement in rollerblading was as a result of the internet, and it still helps to motivate me and enlighten me about my craft. And what are your favorite accounts to follow? My favorite accounts to follow are @oneblademag @sicurethane @k2skates @razorsskateco @seankeane @baphometlilbrother @davidhirt and @ricardolino. Do you have any personal goals for this year (or beyond) that you’d like to share with everyone? I would like to advance at rollerblading and video editing — two things I love and am really passionate about. I’d like to grow into film and video production in my later life. Is there any way people can support you and your scene? Yes, if we need proper access to good skates and gear to help us grow the sport, ‘cause it’s very challenging getting really good equipment here. Anything else you wanted to talk about or tell the world of bladers? Blading is life! The craft requires passion, discipline and great control. Well keep it up, man! We really enjoy your posts and it’s so cool to see your love for blading. Cheers! We are all skaters and we love our craft, it’s an honor to be given this opportunity from ONEblademag. I did want to thank my friend Ayomide Balogun for traveling and filming me, also to Philip Moore for all the good words; and Tosin ijimakinwa and Emmanuel Onikute, thanks for the love. Big ups man! Keep it up!!! My Boy got featured in a Magazine!!! I’m so excited and proud. I’ve always admired your zeal to tear up these streets and and shred those wheels. You always have my 110% support.